It makes sense that Wi-Fi internet connection will be faster than cellular as cellular is wire based connection. However, OpenSignal, a networking firm dedicated to wireless coverage mapping is causing some kind of disruption. Even in France, as we know have learned, cellular connections are said to be 2.5mb faster than Wi-Fi. Same can be said about Australia, whose cellular is claimed to be 13mb faster. OpenSignal revealed that most countries have average Wi-Fi speeds that are very much the same or at par with cellular speeds. In the USA, it is still faster by 25Mbps on average, while Singapore, Hong Kong and South Korea follow the same drift. A top UK tech expert has put Wi-Fi internet performance under strict scrutiny and attack. He blatant revealed how frustrated he is with Wi-Fi development globally. In fact, from his point of view, this just highlights how bad the Wi-Fi industry is in modern times, when we think about the progress that should have been made. This is a welcoming revelation, seeing that 5G internet is knocking on our doors. It is said that henceforth, cellular networking speeds are bound to get faster and better. This trend is especially expected in the year 2019. 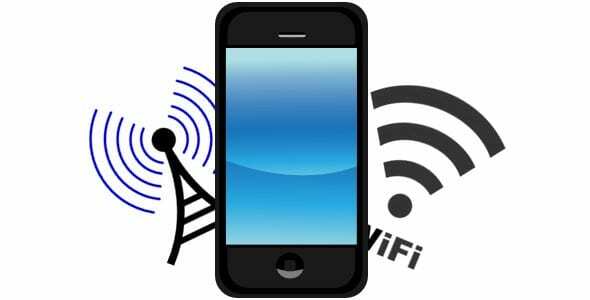 In the same vein, it is said that the next generation of Wi-Fi known as 802.11ax of Wi-Fi 6 is designed for cellular data offloading. In this way, both cellular and Wi-Fi are not meant to act alone or exclusively apart from each other. Of course, OpenSignal’s study tells the world that wireless is getting better and with the research based on billions of measurements on Android and iOS mobile device, it is really showing that wireless internet connection gets better and better by the day. The 18-month study serves to confirm further that Wi-Fi is better and faster than wireless connections. 5G is coming and people are looking at it as the next thing businesses need. However, it looks as if not everyone will find the use of 5G beneficial. Especially is this true regard home internet connections. This seems to suggest that while some businesses my find 5G internet beneficial, small time users may not.